On the 1st Ocober 1924 J.R.R. 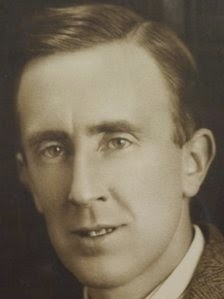 Tolkien started the new academic year at the University of Leeds as Professor of English Language. After his appointment as Reader in English Language in 1920, he had been given the responsibility for the linguistic teaching of the language side of the syllabus in the English Department. When George Gordon left Leeds Tolkien was a candidate for the Leeds chair. In the event it went to Lascelles Abercrombie, however the Vice-Chancellor at Leeds promised Tolkien that a new Professorship of English Language would be created.